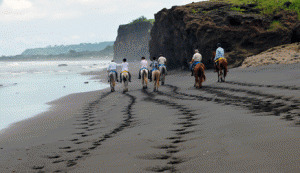 Horseback riding in Costa Rica! Combine horse riding through misty cloud forests, rainforests teeming with wildlife, tropical mangrove swamps and beaches with ocean kayaking, snorkelling, a canopy tour, and nature hikes. Inn to inn and progressive rides through the heart of Provence and week-long training and trail vacations. Ride in classic French countryside made famous by best-selling author Peter Mayle and painted by Cezanne. 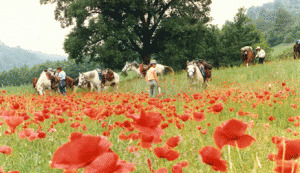 Horse ride amid vineyards, beaches and to hill towns, savoring Provencal food, wine and history.